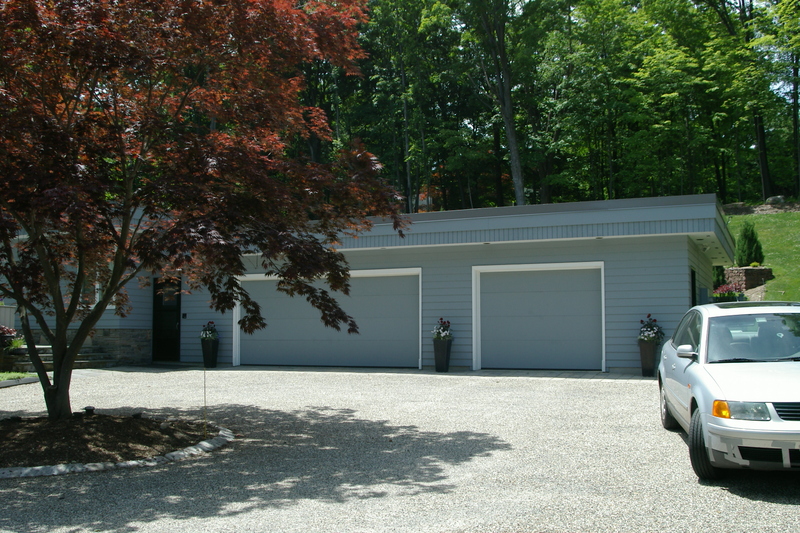 Design a seamless addition onto an architecturally designed 1960 modern house (one main living level) that satisfied the client’s need for a private study which could also serve as a guest suite. 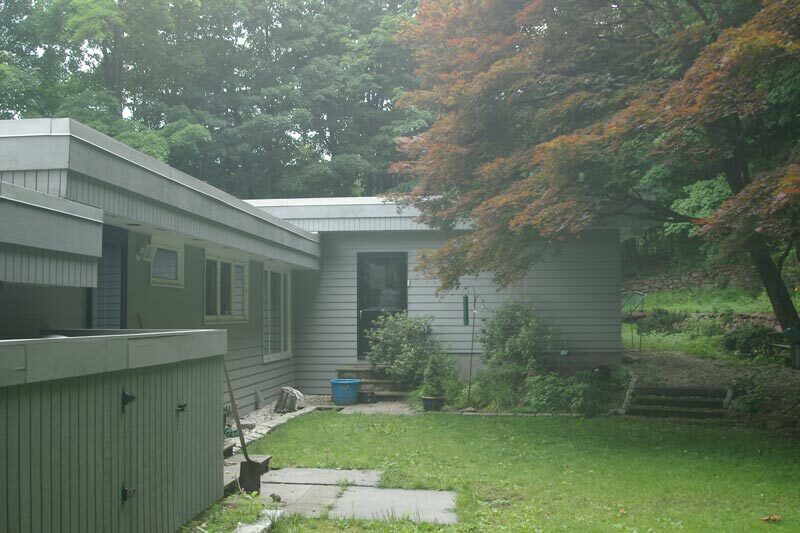 Given the constraints of a steeply pitched back yard, three designs to add the additional space as a second floor were developed and considered. The original house design arranged all of the living spaces into three distinct boxes, making the placement of a four box (addition) on top of one of the main boxes a logical solution. 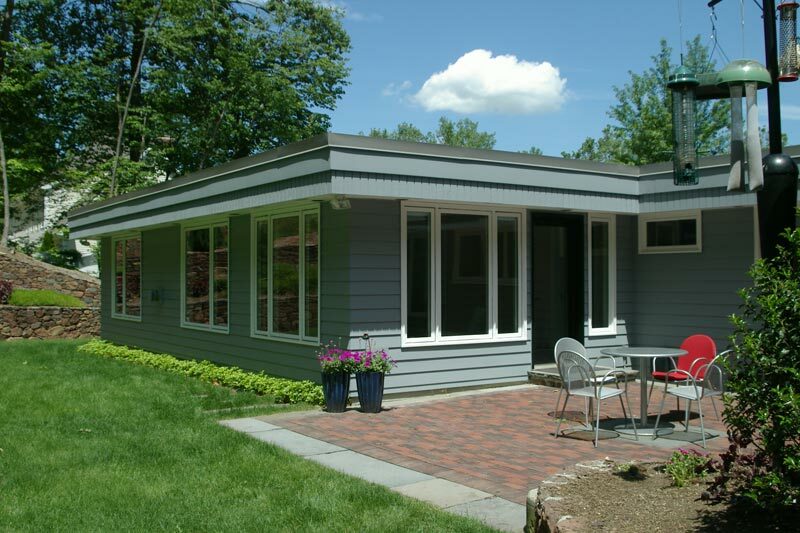 This would have given added privacy and an unobstructed view of Hartford County to study users and overnight guests. 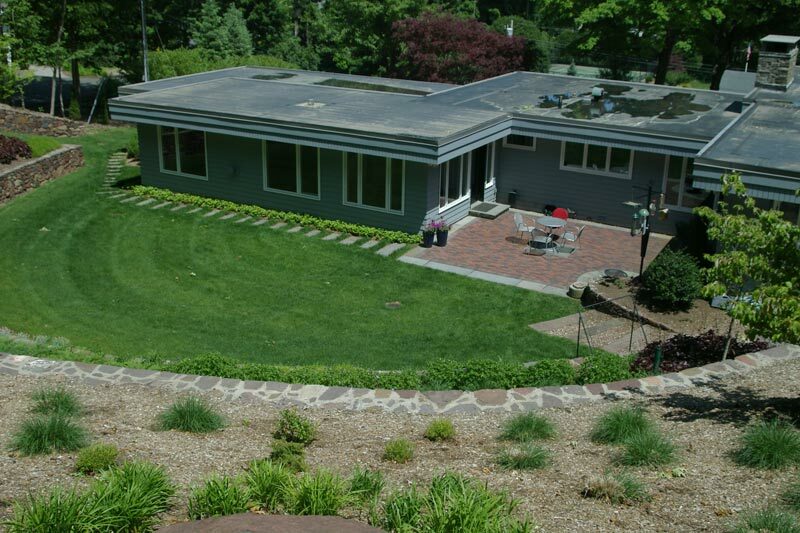 In the end, the client opted to remove much of the sloping rear yard to create a more level surface that was then terraced and landscaped; this made it possible to place the addition at the main living level and open it up to the new yard.